Kanye West and Kim Kardashian Engaged? The singer reportedly proposed to the reality TV star days after she gave birth to North, their first daughter, although he didn't give her an engagement ring. 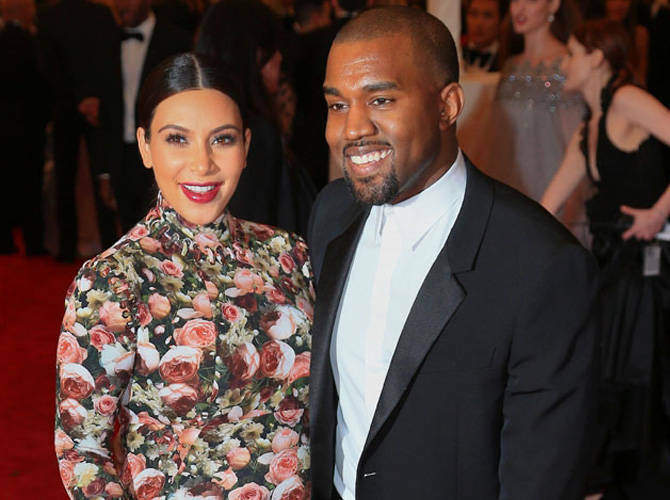 Kanye West is reportedly engaged to Kim Kardashian. The "Clique" hitmaker is said to have proposed to the reality TV star just days after she gave birth to their first child. Although the 36-year-old rapper didn't have an engagement ring, he did give his fiancee a $769,635 rare black and tiger-stripe diamond ring as a push present to commemorate daughter North's birth. The couple is apparently planning a September wedding in Paris. An insider told The Sun newspaper: "Kanye wasted no money in making sure Kim had the best of everything while she's in hospital. "He has spent half a million on a ring as a push present and had it designed months ago in preparation. "He's even more in love with her now than ever and they can't wait to get married." It is reported Kanye spared no expense while taking care of the new mother during her pregnancy, including a personal labor coach costing more than $4,000 a day. The couple also rented three deluxe suites—which cost over $3,000 per night each—which had three bedrooms, two bathrooms and a personal chef.